Crochet, embroidery, sewing, and general fabric artistry float my boat. 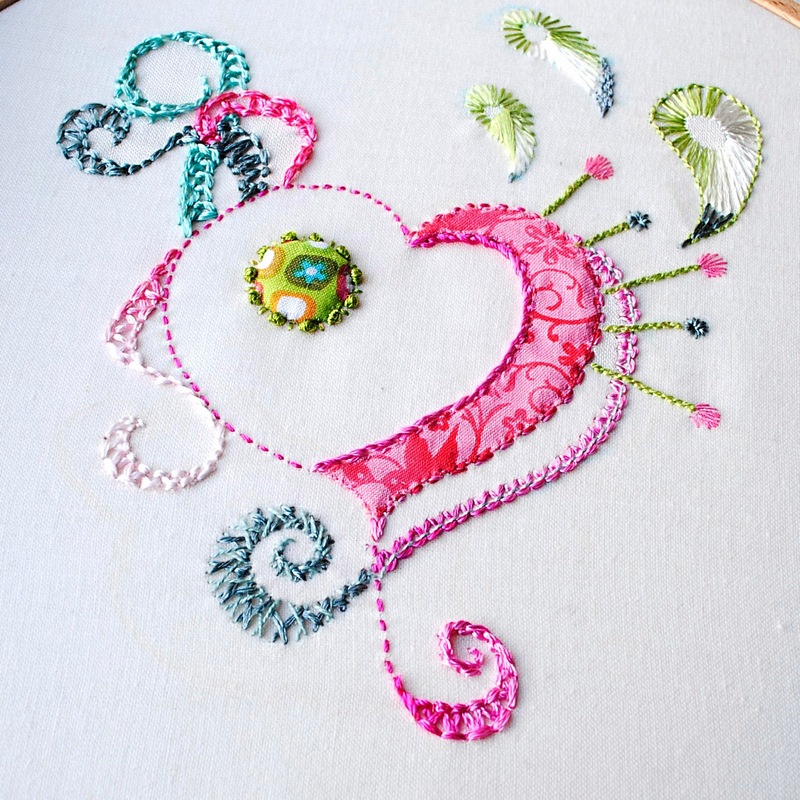 Embroidered and applique heart design on white cotton. This design was started a year ago, forgotten about, rediscovered, and finished in time for Valentine’s Day this year! 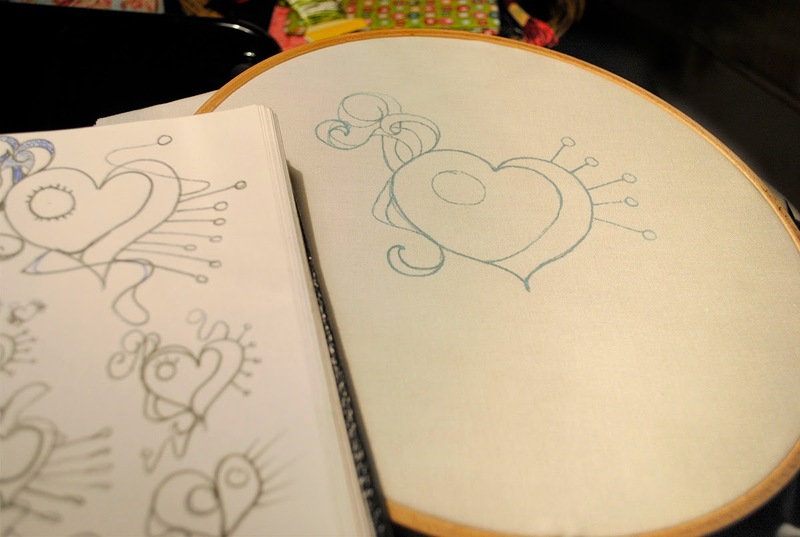 As most of my embroidery projects, it started as a few sketches before it was transferred, added to, stitched, improved upon, and will probably be filled in a bit more before it’s completely done.